Super Savvy Mommy: Happy Thanksgiving!! 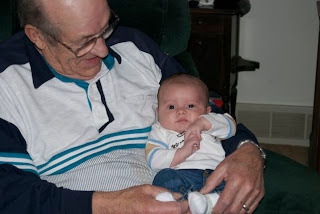 The reason I have not posted in the last few days is because my Grandfather passed away on November 23rd. I traveled up North for his funeral. This Thanksgiving is a time for me to remember Thanksgivings in the past where my Grandparents would come over and we would eat and watch football. 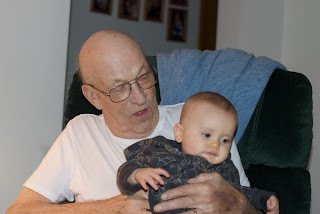 My Grandpa would always nap after a big meal. 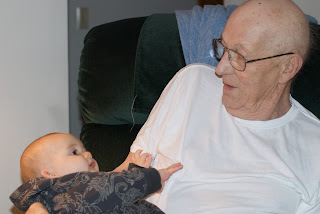 I am so fortunate that Dexter was able to meet his Great-Grandpa-twice. Heres to him! Hope you enjoy your first Thanksgiving in Heaven Grandpa! !